Finding the perfect wedding officiant (otherwise known as clergy, pastor, minister, Justice of the Peace, rabbi, priest, reverend, etc.) 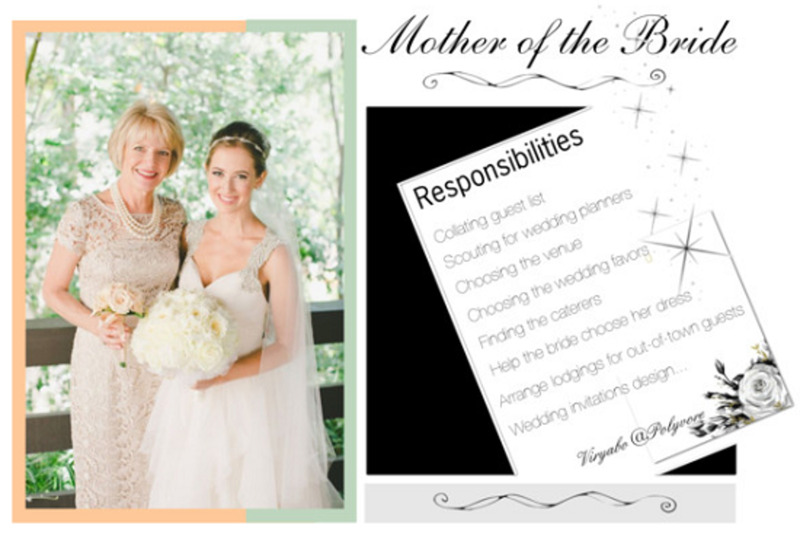 is one of the most personal decisions made by a bride and groom during their wedding planning. This is the person who will stand at the front of the ceremony with them and walk the couple through saying their vows. An “officiant” or an “officiate” are both generic terms for someone that is legally-able to perform a legally-binding marriage ceremony. This term is used for all of those who perform marriage ceremonies, from every religion, every belief, traditional or non-traditional, religious or civil, at the courthouse, at a wedding venue, or out in the wide open air, across the world. These same people perform a number of ceremonies for couple, from marriage ceremonies and commitments to elopements and renewals, including single weddings, double weddings, homosexual, heterosexual, second, third and fourth marriages, and so on. However, depending on the particular officiant, like a Catholic priest, won’t marry certain couples. A Justice of the Peace will usually not marry couples outside of the courthouse, like at an outdoor ceremony. A pastor or minister may not be willing to perform a ceremony that is not religious, and couples may have to be members of the church before being allowed to get married there, and/or get married by the religious leader of the church. There are many officiants, though, that are willing to perform weddings of any style or type that may be possible. In fact, when first seeking an officiant, you may notice that they usually already have written out “wedding ceremonies” for couples to choose from if they need help deciding on the right words. The length of time it will take an officiant to get through the ceremony will differ based on the officiant. Some are long-winded and can speak at length about every aspect of love and commitment allowing a ceremony to last for hours. If the couple prefers a shorter, sweeter ceremony, officiants can typically cut a detailed ceremony down to about ten minutes. Keep in mind that in some faiths, like the Catholic faith, there are requirements that will make the ceremony last for up to three hours. Many officiants offer pre-marital counseling services to their couples before the wedding, not only to help get to know each couple better before the ceremony, but also to help get couples thinking about some of the big topics married couples deal with in their marriages, and work through some minor issues they may be dealing with. Some officiants, as well as some churches, require pre-marital counseling before they will even marry you. Catholic churches probably have the strictest rules when it comes to marriage. Although there are so many different types of officiants available to couples getting married, they all provide about the same products and services to all of their couples. Let’s look at a comprehensive list of these products and services. A get-acquainted meeting – This is the initial consultation where the officiant talks to couples about what they are looking for in an officiant and what they would like for their wedding. Sometimes this comes at a small fee, but mostly this is offered for free. Pre-Marital Counseling – This usually consists of six (one hour) sessions, similar to therapy sessions, for couples intending to get married. In these sessions, couples are asked questions about big topics relating to the problems couples have in marriage to determine whether they are ready for marriage and are making the right decisions. If anything, the purpose of these sessions is to prepare couples for being married. Depending on whether the pre-marital counseling is through a church, from a private or secular officiant, or with a group, the price will fluctuate. In-person meetings – Many officiants offer unlimited meetings for free, where they will meet their couples in person to discuss the ceremony schedule, the vows, any readings or rituals, etc. However, there are some officiants that will still charge for each of these meetings, or offer a limited number of them before charging. Telephone and Email Consultations – The same goes for telephone and email meetings. Many officiants offer unlimited phone calls and emails for no charge to discuss any details the bride or groom wishes to discuss, but some offer limited communication before charging, or charge for each and every interaction. A wedding workbook – This is a book (online or paper) or collection of readings, rituals, sample vows, etc. for couples to use when putting together their wedding ceremonies. Professional Dress – Whichever officiant is chosen, you can be sure that he or she will dress professionally. However, if there is a dress code for the wedding, it is important to let the officiant know ahead of time. This way they can wear black tie formal if it’s appropriate. Prepare the space – Many officiants will for the marriage ritual with prayer and purification over the wedding ceremony area if requested. Some will do this anyways, even if not requested. I wouldn’t ask this of a civil officiant though. A Justice of the Peace will not do this. Pre-ceremony meeting – It is nice to have one last meeting just before the ceremony, for the officiant and the couple getting married to come together, for the couple to get to ask any last minute questions and the officiant to help calm any nerves right before the big moment. For this meeting, the officiant will usually arrive at the wedding an hour ahead of time so there’s time to meet with the couple. Many officiants charge extra for this. Otherwise they show up ten to thirty minutes before the wedding, just in time to take their place at the front. Essential Ceremony – Essential, in this sense, simply means the basic ceremony with no frills, typically lasting about 10-15 minutes; 20 at most. The basics of a wedding include an introduction, a few questions to ensure the couple understands what they are doing, the ring ceremony and the vows. This is the ceremony traditionally done by the Justice of the Peace. It can, however, be done in the officiant’s office or even at the wedding site upon the couple’s request. Complete Ceremony – The complete ceremony has many more parts, which differ depending on the type of ceremony being done. However, this ceremony traditionally includes much more on love and commitment and the couple truly gets to express themselves in their ceremony. There may be readings, prayers, sayings, quotes, and any number of rituals, and the couple may likely say their own vows. Ceremony Writing – For those couples that don’t know what to write and/or would like someone to put together a ceremony for them, many officiants will write out the wedding ceremony for the couple. As officiants typically have many samples to choose from already at no charge, writing something personal for a couple tends to come with a fee. 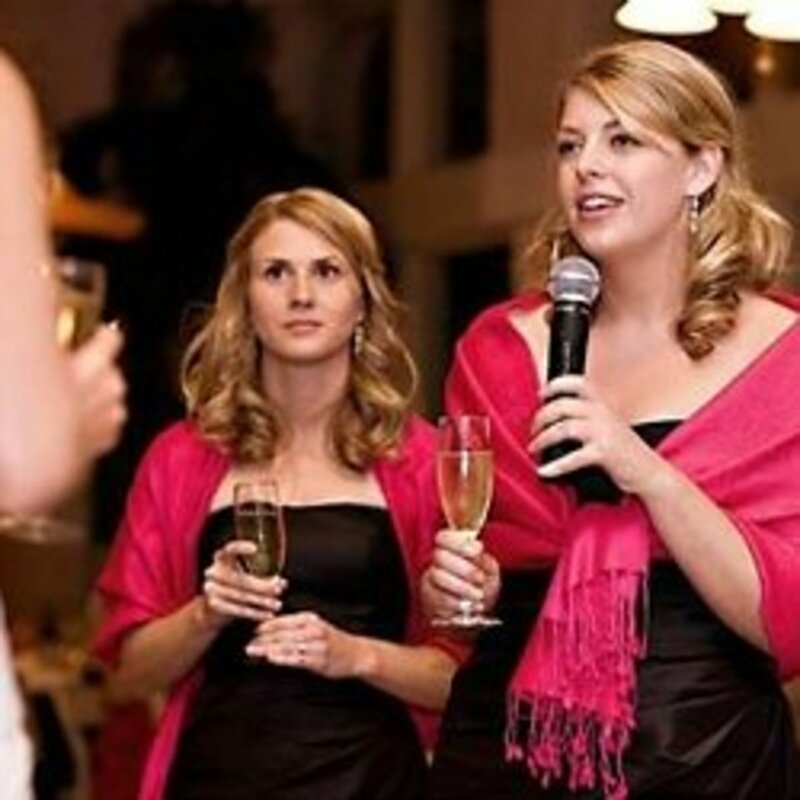 Personalized Ceremony – A personalized ceremony is a step further than simply writing out a ceremony. As a ceremony has several basic parts that simply need to be filled by one version of words or another, a personalized ceremony is so much more. 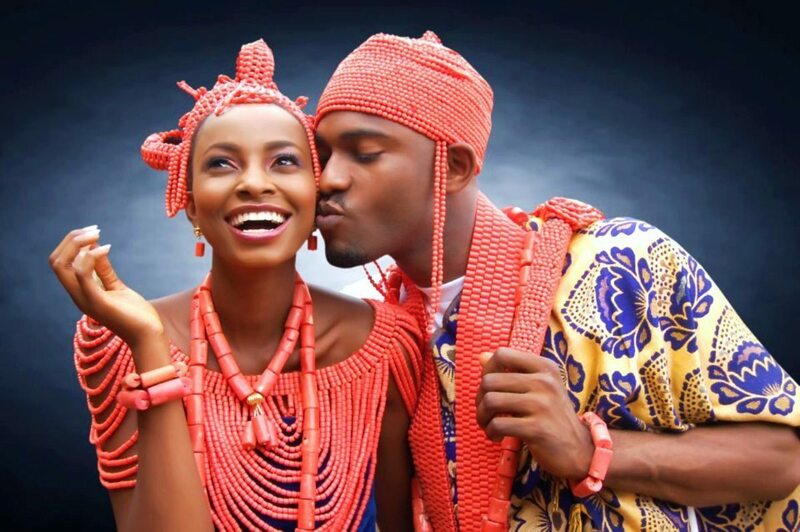 This may include the couple’s story, symbolism that is meaningful specifically to the couple, etc. The officiant and couple will typically meet many times until they come up with the perfect ceremony. Due to the meetings and revisions involved, this is a more expensive service. Writing unique wedding vows – Many officiants will also help their couples to write wedding vows for them if needed. Of course, this service also comes at a price. Rehearsal – The purpose of the rehearsal is to practice everything that will happen the next day so everyone knows what they are supposed to do and where they are supposed to be. Some officiants will attend, and even run the rehearsal for the wedding couple simply so that they can ensure that everyone is where they belong for the big day. However, many officiants charge for this service because it’s an additional evening they lose that they could be officiating another wedding. Traditional/or personal wedding music – CDs, digital music options, and even lists of sample wedding ceremony music are all ways that officiants provide this service. Marriage License – Even though couples have to actually appear at the courthouse together in order to apply for the marriage license, many officiants have ways to make this process easier for them. Submitting License to Court - (may depend on distance from preferred courthouse, including out of state) Officiants normally just mail the signed copy back to the courthouse where the couple applied for the original certificate. There really should be no fee, unless they wish to charge the $.0.45 or whatever for the stamp, but they do. Travel – Depending on the distance the officiant will need to travel to get to the wedding, he or she may charge for gas/mileage/travel time. This fee will range from one officiant to another and will change depending on the distance and the location. A bound copy of the ceremony along with a keepsake marriage certificate – This is a bonus some officiants like to provide to their couples as a nice keepsake. Many times this will simply be another fee tacked on to a wedding package, or couples can purchase it separately. A sand ceremony (or any special ceremony within the wedding ceremony) – There is usually only a charge if the officiant has to supply the materials for the rituals during the wedding (vases, candles, sand, etc.). Name Change Kit – This is a kit complete with forms for every legal agency to assist brides in changing their names easily and quickly. The price for this packet runs anywhere from $25 to $150 depending on where you purchase it. Public Speaking Coaching (for readers) – This service helps anyone frightened or nervous about speaking in front of a crowd the help they need to be confident. Wedding officiants provide a good many products and services to their wedding couples. But choosing a pastor, minister, priest, rabbi, clergy, or even reverend, is such a personal choice for couples. This is the one person that will be the closest to the couple throughout their planning. This person helps to bring all of the meaning and symbolism into a wedding ceremony that makes it personal. Regardless of what one officiant offers, there will be one perfect person that will fit the couple getting married just right. Do your research and find the officiant that best fits what you're looking for, to give you exactly the wedding ceremony that you've always dreamed of. 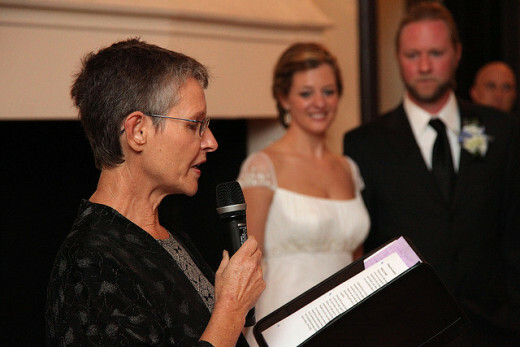 What type of wedding officiant are you planning on choosing? 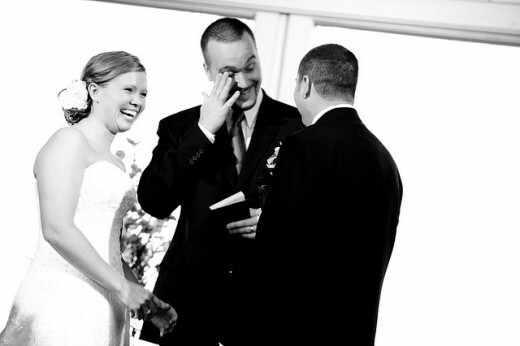 Choosing the right Officiant to preside over your wedding ceremony is so important. They will be setting the tone for your special day. So many brides rush into making choices on their wedding vendors. The first or second venue says they can handle everything for you, but they come with a hefty fee . . .
Great! Thanks! I'm glad you liked it! Nice hub on Wedding Officiants. Voted up.